Rubs are very common in the world of grilling and outdoor cooking. Out in the world of competition bbq, everyone has their own rubs or little tricks. I know that I get caught up for hours watching shows about barbecue and fire. One thing stands true, everyone has their own special blend. 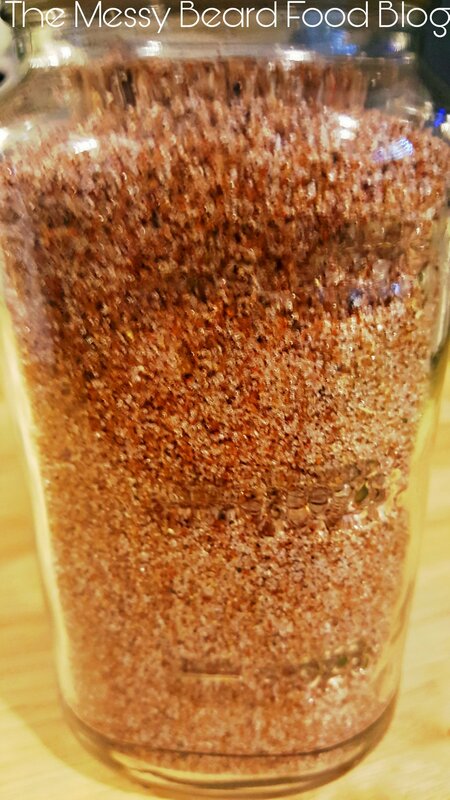 Over the years I have been slowly developing a generic rub that is easy to whip up, and can be used on everything. It is crazy to think about how different ways rubs can be used. It is also crazy to think about all the variations of rubs. The type of rub used depends on the area lived and the style of barbecue style preferred. Living in the midwest I am surrounded by Kansas City style, and Texas style barbecue. Each region has its own style. Carolina style, Kansas City style, and Texas style are the most talked about. Here in Nebraska we see a lot of Kansas City style being just hours away from there. The style of this que is using a Dry Rub, and a sauce to finish. Now to Texas Pit Master’s sauce on the meat is considered the same as murder. Texas Barbecue is built around simple rubs, wood, and letting the meat speak for itself. I think that they each have points. The meat should speak for itself, but meat needs help in the form of rubs. Sauce application depends on the item cooked, and personal preference. I wanted to come up with a rub that was easy, quick, and tasty. Having one go to rub for all cuts of meat is nice. Having a rub that is sweet with a little bit of heat is the way to go. While I was doing trial and error, seeing if Rachael and Atticus liked the rub or not. Getting a view from a child a blunt wife is important. I was able to find a blend that is a use all rub, kid friendly, and that anyone can copy! The best part is how simple it is to make! After creating the rub, I was able to stop buying rubs off the shelves. So I am not only saving space in my spice cabinet, I’m saving money too. Enjoy this rub year round! Put all ingredients into a container, shake to combine.